THIEVES have struck Co Galway’s Tidiest Town and have snatched five rare historical signs from Milltown village in recent days. 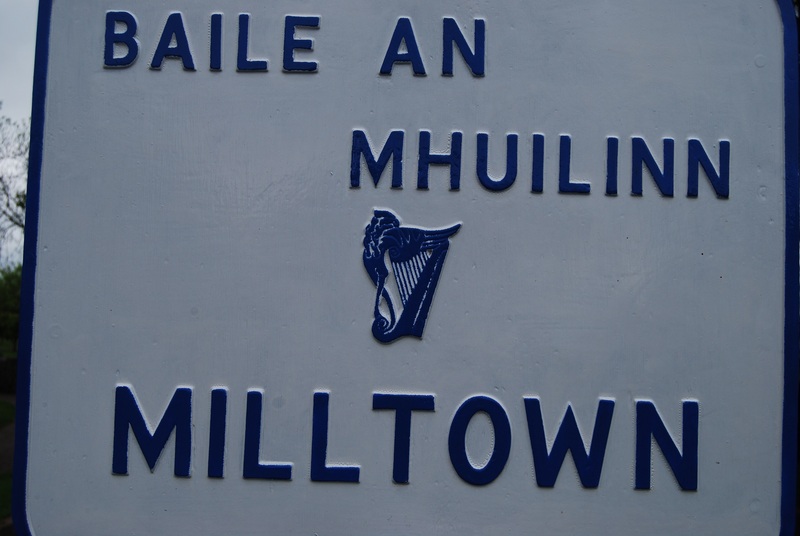 The first sign for An Tóstal Festival in Milltown which was cast in metal in the early 1950s and had recently been restored and repainted was stolen from the community playground in the village a few days ago. Now, it has emerged that a further four old signs dating back to the same period have been taken overnight from the picturesque Heritage Park. 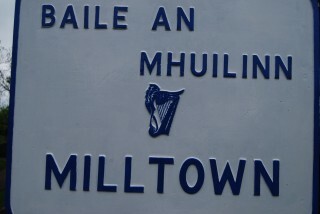 Locals say that it could cost anything up to €1,000 for each of the signs to be replaced and the Milltown Community Council are offering a reward for any information regarding the whereabouts of the cherished signs. Local businessman Frank Glynn is shocked by the thefts and says it is very upsetting to all involved in the voluntary group. Tuam Garda are investigating the thefts but locals fear the signs could be sold to scrap yards or online to Irish-themed pubs. Frank says the signs are simply irreplaceable to the community of Milltown. Anyone with any information about the rare signs should contact 087-2431083 or 087-2849342 or any Garda station. This page was added on 27/11/2015.